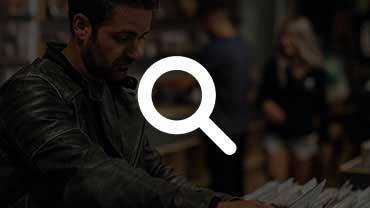 The first, the best, and the most exciting on every level. 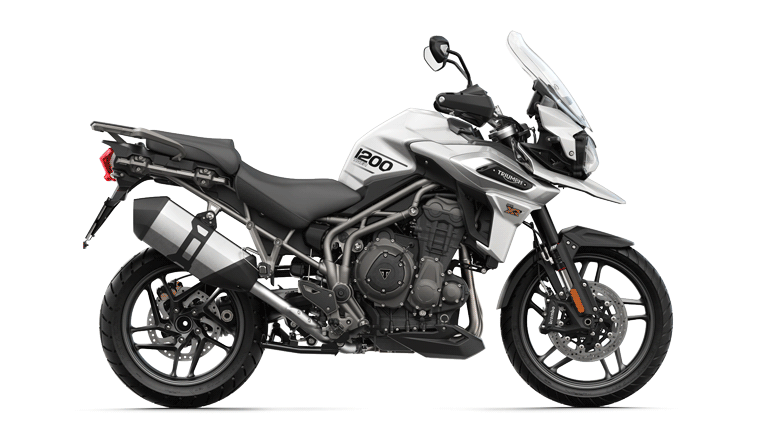 Leading the next evolution in scrambling, our two new benchmark-setting 2019 Scrambler 1200 models have raised the bar with genuine dual-purpose motorcycles designed to meet the needs of riders seeking commanding road-riding control and comfort, and fast, fun, flowing, dirt riding capability. 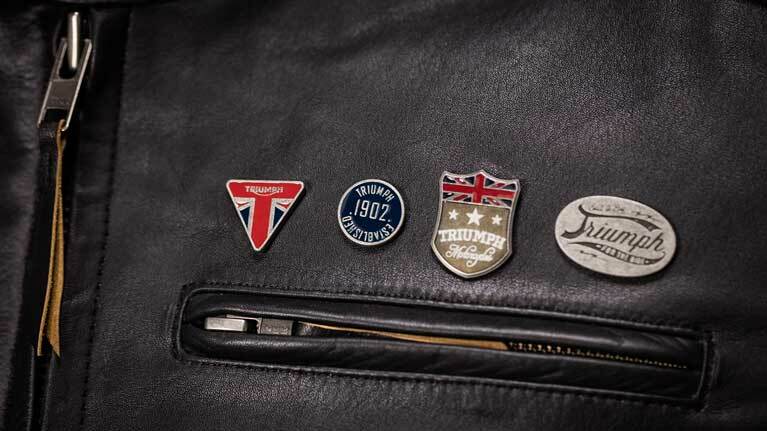 This is a major step forward for Triumph’s incredible custom classic offering that brings class-leading performance, equipment and technology specifications to a new motorbike range, designed and built for all-road and off-road adventures too. 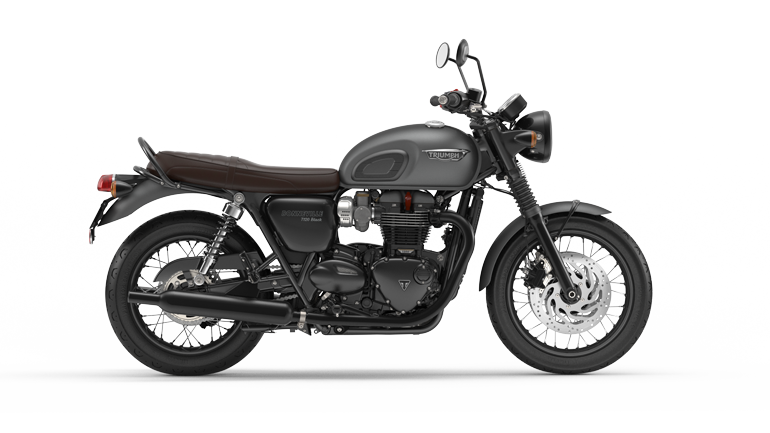 Its distinctive style and iconic silhouette is completed by the sculpted high level exhaust, bench seat, upright commanding riding position and purposeful looks. 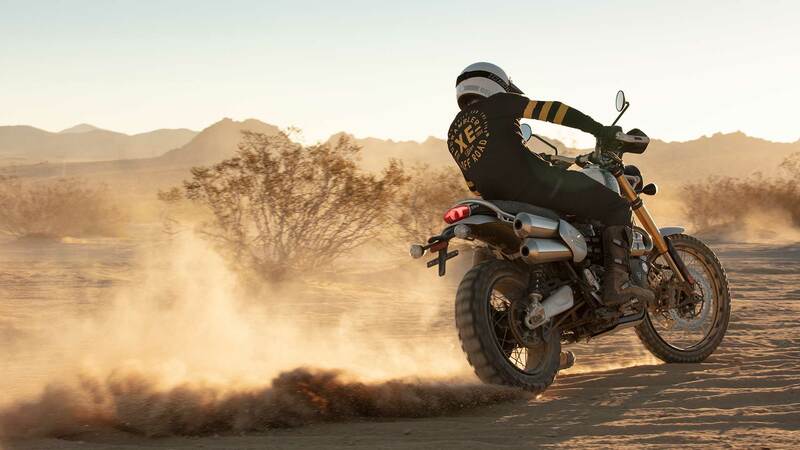 Meet all road and scrambling challenges with the ultimate in style and poise; the new Scrambler 1200s have a world-class engineering specification (and the capability to customise your ride) that defines a whole new level of 21st century scrambling. 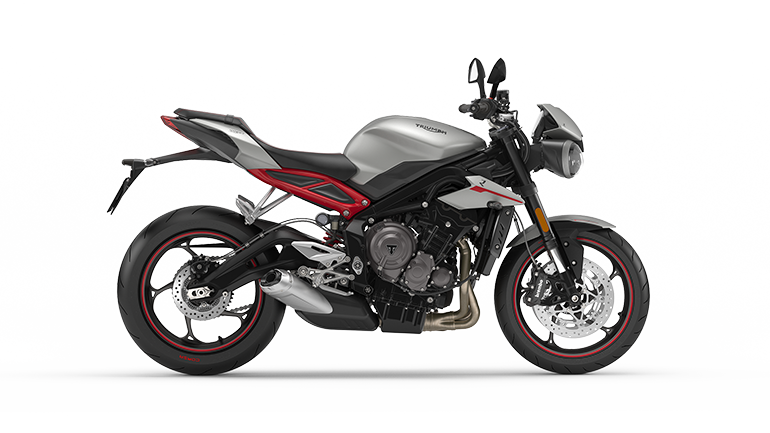 An unparalleled class-leading technology specification sets an incredible standard, with a totally unique fusion of cutting edge rider-focused equipment that delivers a thrilling, responsive, confidence-inspiring ride on the road, and off-it. 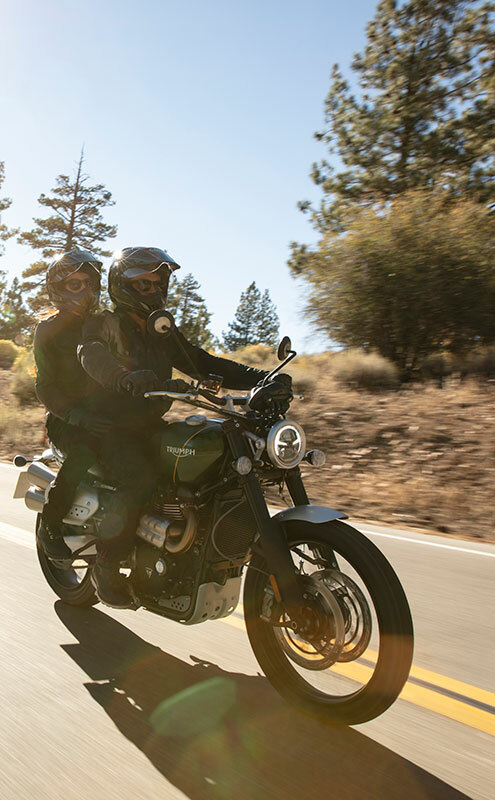 Two all-new inspiration kits showcase the range of Scrambler 1200 touring and luggage options, as well as its off-road and stripped-back custom style, bringing a whole new level of custom inspiration to this incredible motorcycle range. 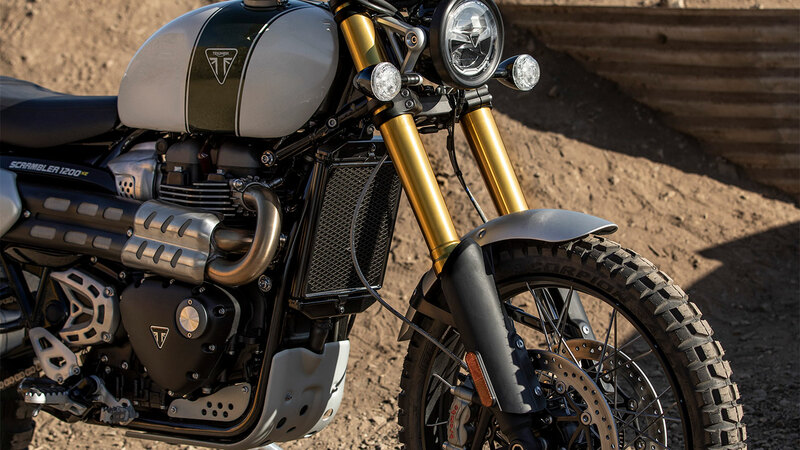 Higher performance Bonneville twin with thrilling signature scrambler tune and hair-raising soundtrack. 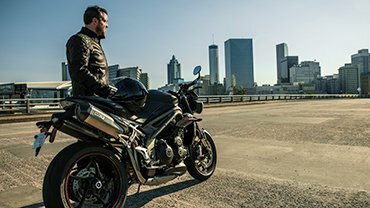 Game-changing capability with incredible torque delivered low down and a thrilling 90PS peak power output. 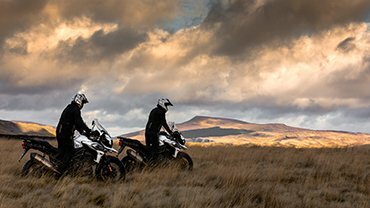 Class-leading road, off-road and scrambler capability delivered by the highest level of specification available. 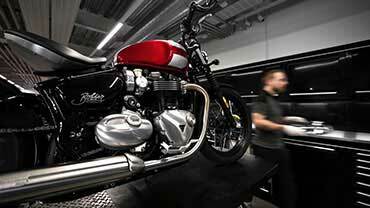 A brand new custom classic scrambler, enhance your Scrambler 1200’s finish with over 80 accessories. 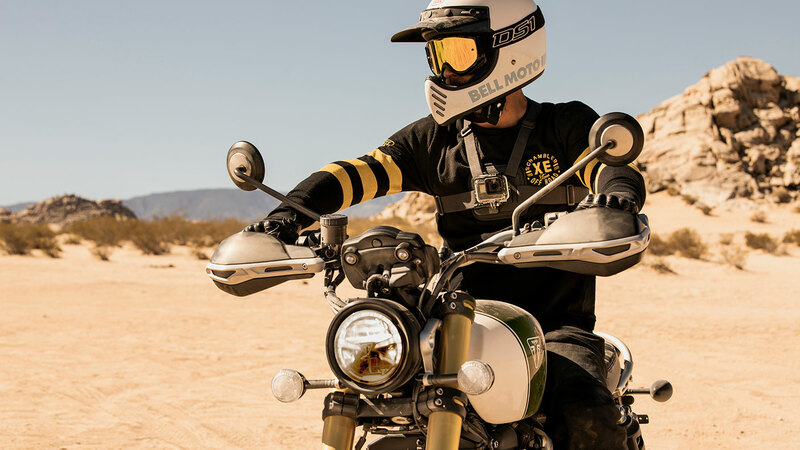 Enjoy class-leading connectivity while you’re riding the new Scrambler 1200s and the world’s first integrated GoPro control system; ‘turn-by-turn’ navigation with easy to follow Google icons and Bluetooth phone & music operation. 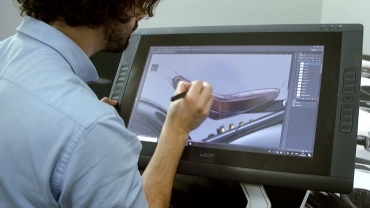 These features are enabled by an accessory-fittable Bluetooth connectivity module. 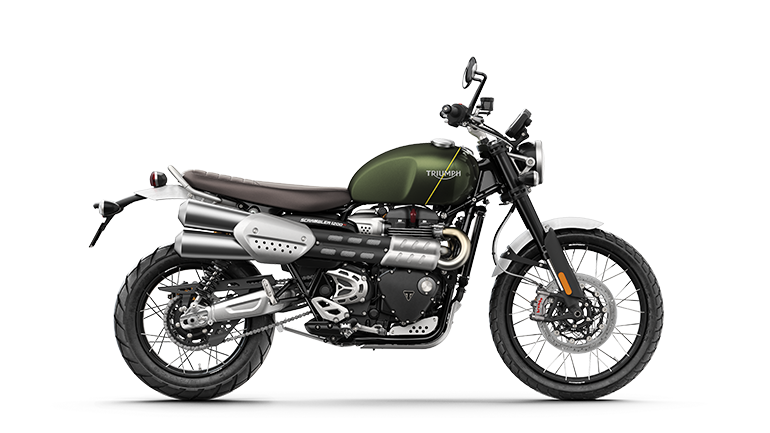 The distinctive deep scrambler tone is delivered by the signature crafted twin high level exhaust system, with high-value brushed stainless steel silencers, with aluminium number board and stainless steel headers that follow a tight flowing line that beautifully integrates the cat box with minimal visual impact. 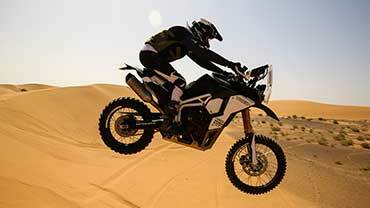 Premium innovative twin spring Öhlins rear suspension units deliver a class-leading set-up. 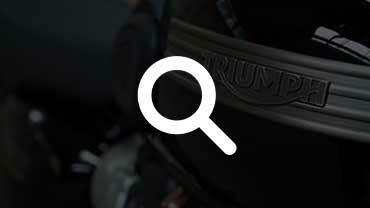 Fully-adjustable for preload, compression and rebound with piggy-back reservoir, these RSU’s offer advanced long travel suspension for genuine off-road capability, ground clearance and a commanding ride. 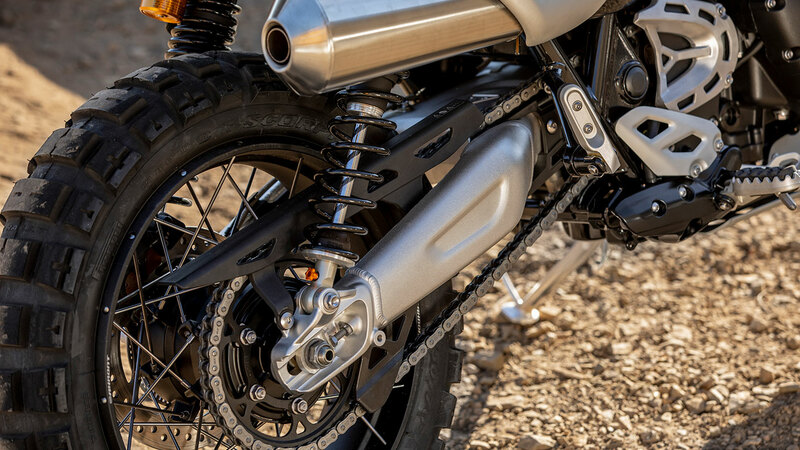 The Scrambler 1200’s beautifully crafted ‘shot blasted’ and anodised long travel aluminium swingarm, 547mm long on the XC and 579mm on the XE, combined with its dedicated Scrambler frame deliver peerless dual-purpose capability both on and off-road. 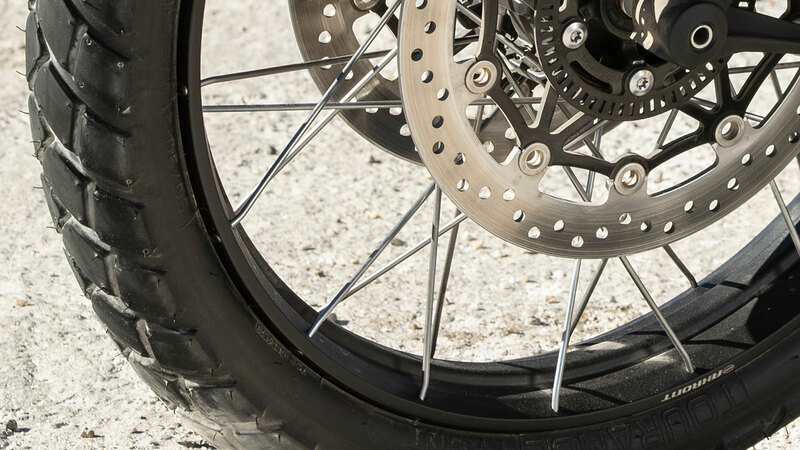 Top specification upside-down Showa cartridge forks, with fully-adjustable preload, compression and rebound, deliver exceptional long travel front suspension for all-road capability and ground clearance (200mm on the XC and 250mm on the XE). 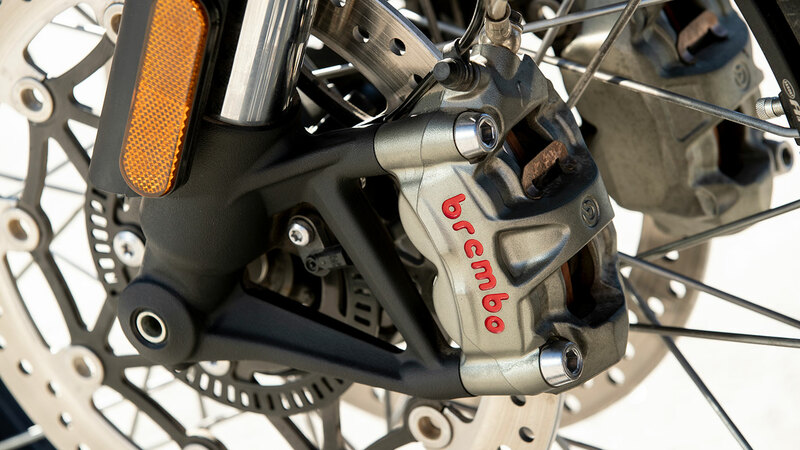 Category-leading braking capability is achieved with Brembo twin 320mm floating disc Monobloc M50 front calipers and Brembo 2-piston 255mm rear brake caliper. 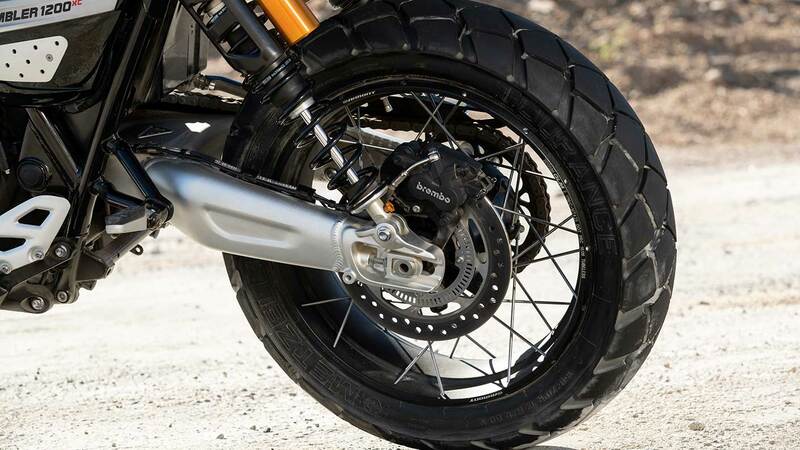 These are the best standard fit for brakes in the scrambler motorbike segment. 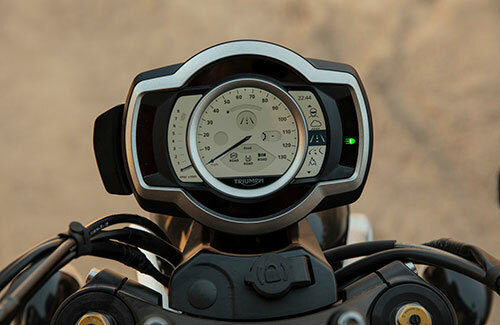 For excellent visibility, both Scrambler 1200 models feature distinctive all-LED lighting including 5-inch LED headlight (including Daytime Running Lights where market legislation permits), LED tail-light with unique attractive diffused opacity detailing, and market-specific indicators. 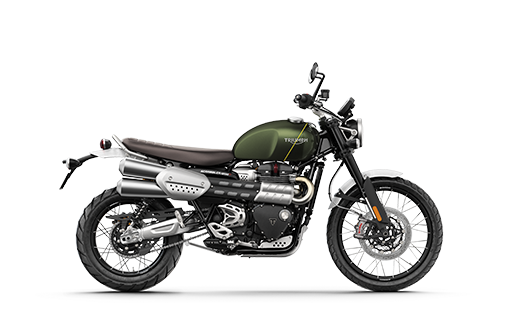 Incorporating a new headstock and geometry, the Scrambler 1200’s new frame has lightweight aluminium cradles, removable pillion peg set-up, and is tailored to encourage comfortable rider ergonomics and focused off-road capability. 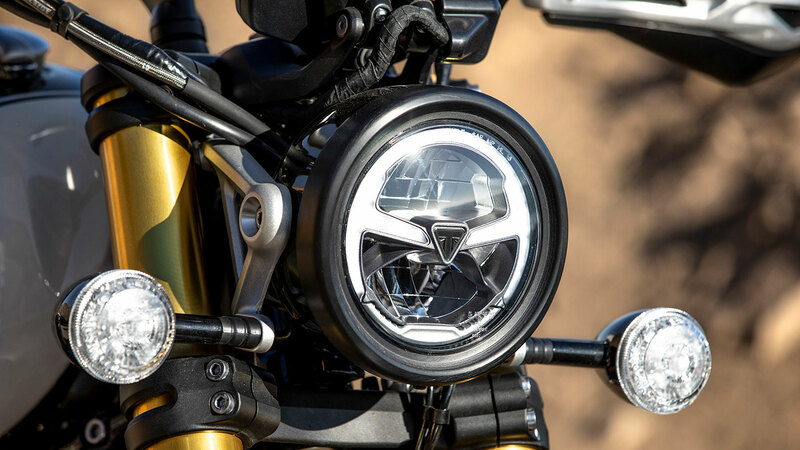 The Scrambler 1200 models are designed to be as great on the road, in town, and over distance as they are off-road, so high specification dual-purpose Metzeler Tourance tyres are fitted as standard for advanced road and off-road capability. 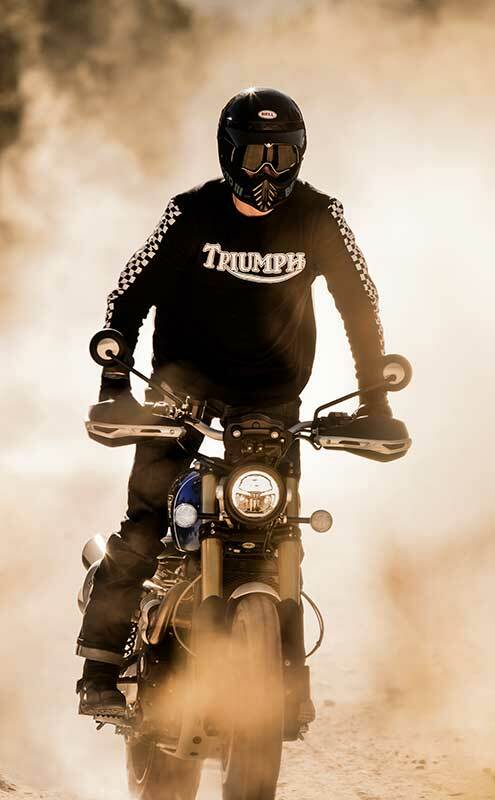 Triumph’s original scrambler design DNA combines with a beautifully crafted modern custom style to deliver all the hallmarks of a genuine motorcycle legend reborn. 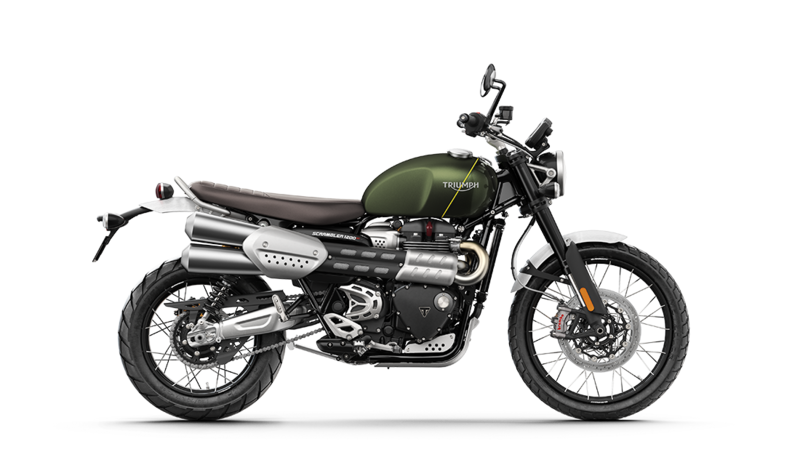 From their iconic silhouette, signature high level twin scrambler exhaust, sculpted fuel tank, and Triumph badge, to their commanding height and poise, 21-inch front wheel, and bench seat, they are every inch a Triumph scrambler. 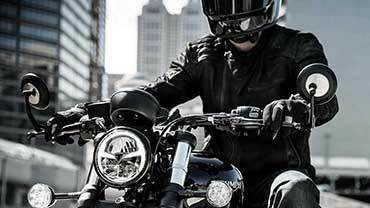 Enhance your new Scrambler 1200’s style, practicality, comfort and security with over 80 dedicated custom accessories. 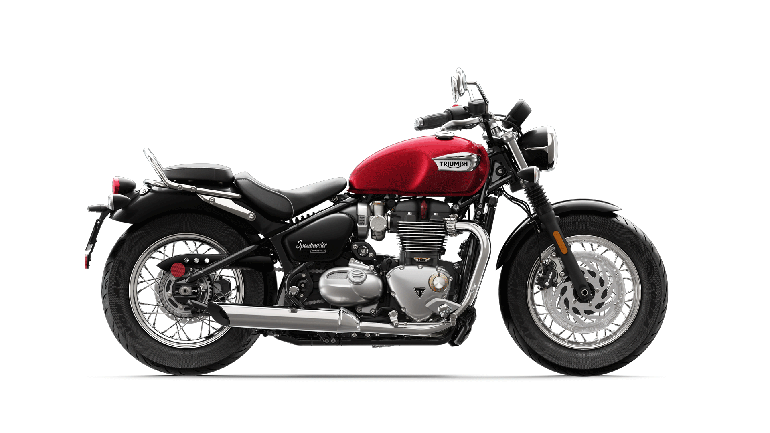 More than just a stunning modern classic for the road, more than just beautiful iconic looks, and more than just class-leading specification and performance, this is a genuine first in dual-purpose motorcycling. 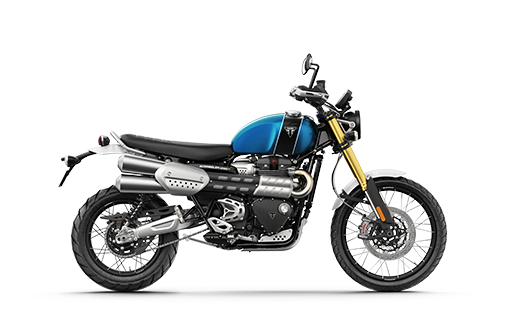 The Scrambler 1200 XC is designed to deliver everything you need to approach any off-road challenge with poise, confidence and style. 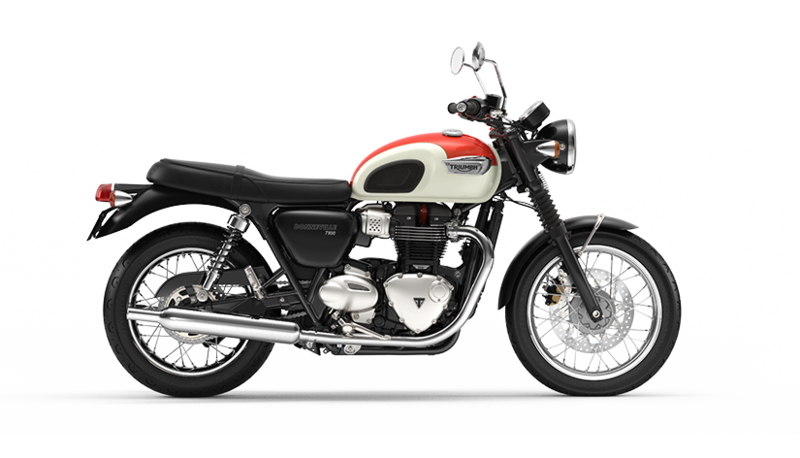 High Torque, high performance, liquid cooled 1200cc Bonneville engine with dedicated ‘scrambler’ tune. Showa adjustable long travel USD cartridge forks with 200mm travel. 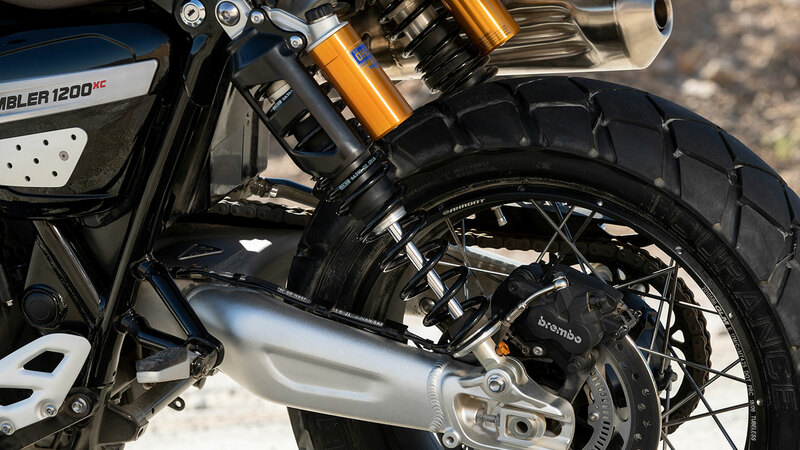 Öhlins adjustable long travel rear suspension with 200mm travel. 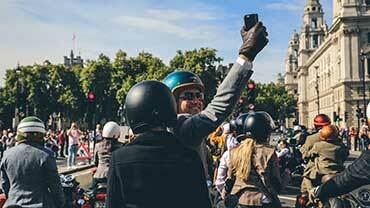 Accessory fit Bluetooth connectivity module, enabling the world’s first integrated GoPro control system, ‘turn-by-turn’ navigation, plus phone and music operation. 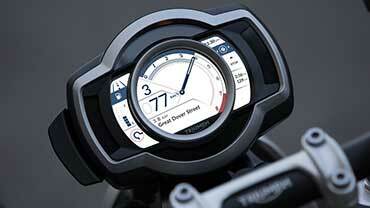 Accessory fit Tyre Pressure Monitoring System. 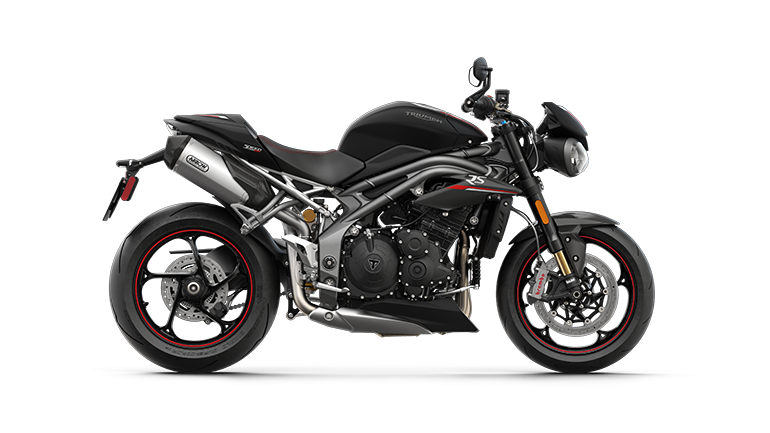 Crafted aluminium mudguards, number board, swingarm, bash plate. 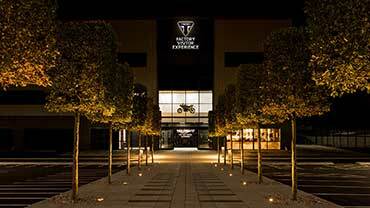 Silver handlebar finish with black anodised risers and clamps.